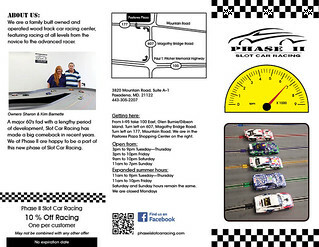 This is a brochure I did for Phase II Slot Car Racing in Pasadena, MD. 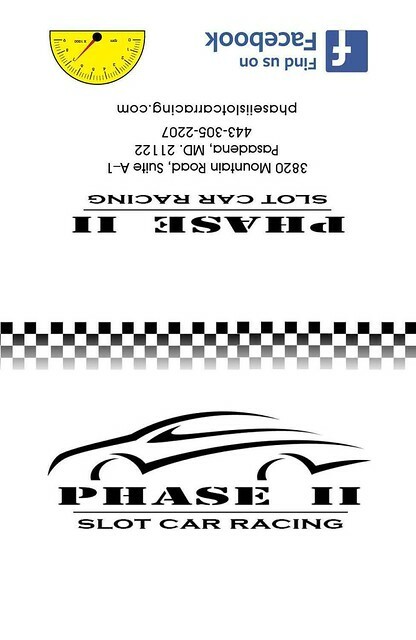 The Logo and photographs were supplied by the owners. I did the map on the rear panel and the rev counter on the front, these were original artworks. 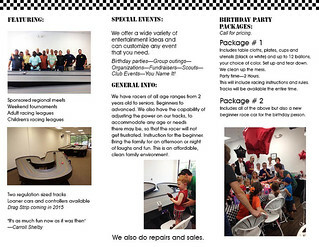 I also edited the supplied text and added some text on the About Us panel.